For the second day of Bake-a-thon, I have a rich brownie made with the Dulce de leche that made recently. 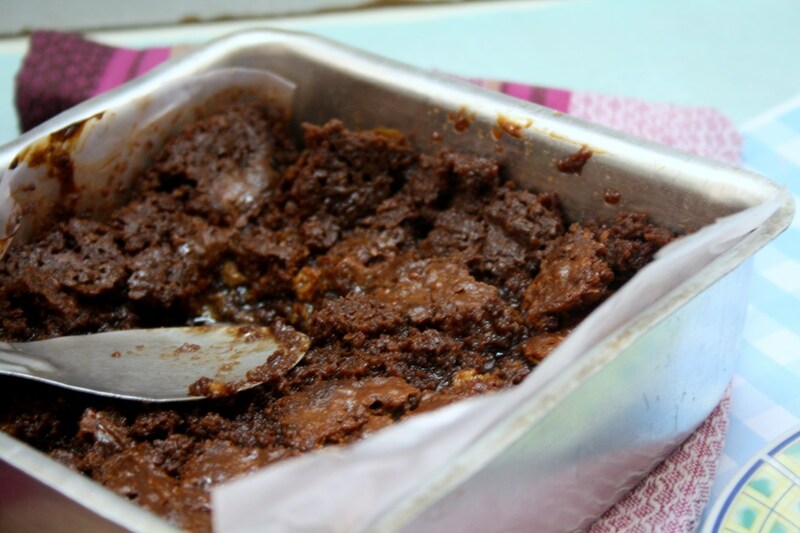 This was the first brownie that I made. And it was such a hit. Kids were drooling over it and couldn’t stop until the batch was completed. Infact we enjoyed it along with chocolate ice cream and chocolate sauce. It was pure indulgence, sinful to the core. Though I had lots to talk about this, with less time on hand to write, I leave you here to enjoy this dessert! You can melt the butter and chocolate in traditional method over the stove. However I used MW method to do both that only takes about a minute and half. 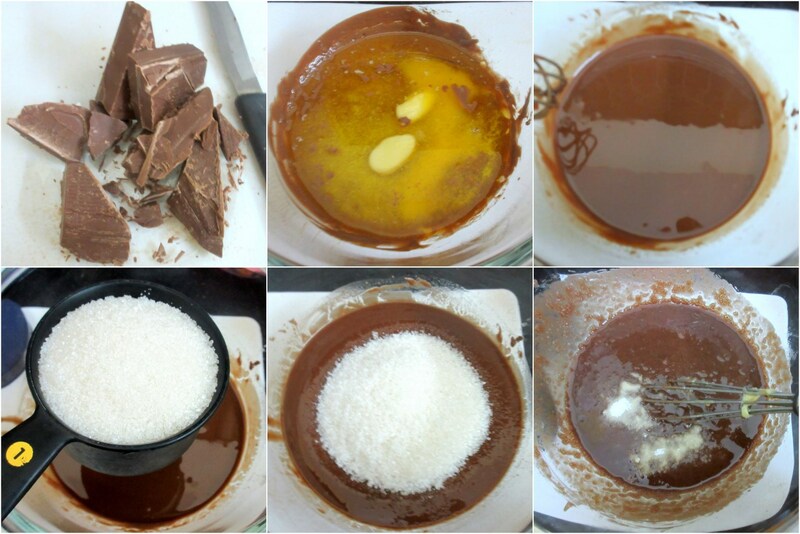 In a MW safe bowl, melt the chopped chocolate pieces in spurts of 30 secs for 3 times. It takes about 1 minute plus 30 secs for the chocolate to melt. Make sure you do it in 30 secs spurts. Then add the butter and mix well. If required, MW for 30 secs. 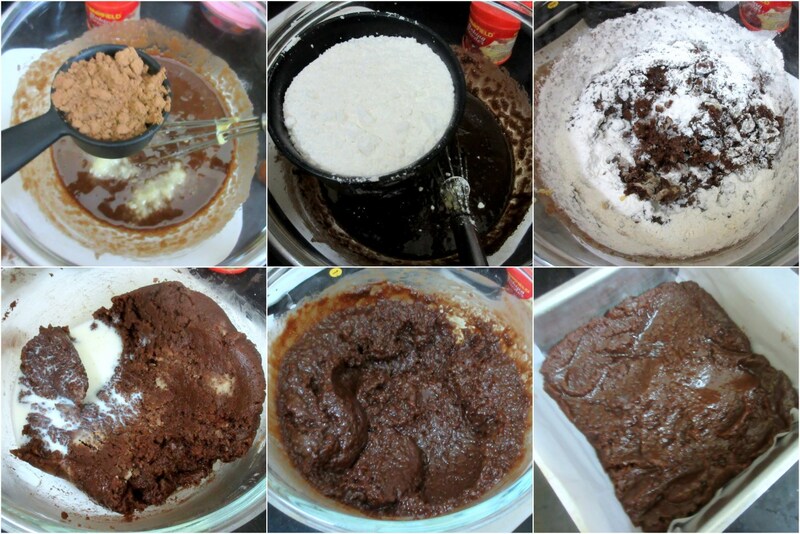 Add in the flour, sugar, cocoa powder, baking powder and mix well. Depending on the consistency, add the milk. I almost used about ½ cup milk to get the consistency. Grease a 8″ by 8″ cake pan with butter and line with parchment paper. Set aside. The batter has to be little on the thicker side. Transfer half of the batter to the baking tray and spread. Now drop in half of blobs of Dulce Le leche all over and try swirling around. Next spread the remaining batter over this and spread evenly as much as possible. Finally on the top, drop in remaining blobs of the sauce. and swirl with knife. My Dulce de leche was not of pouring consistency. So I had to literally spread it out. Bake for 30 mins and check if done. I baked for another 5 mins. After seeing no visible pattern on top, I realized I could’ve baked the last 5 mins with the sauce on top. Next time will have to try this method. Dulce Le Leche turns brown on baking. The sandwiched part, however retains its colour. The brownie was so rich and buttery. chocolate ice cream topped with chocolate sauce! Looks very delicious and tasty. Dulce de leche in the brownie must have tasted heavenly. Dulce de leche brownies are in my to do list, looks super delicious. 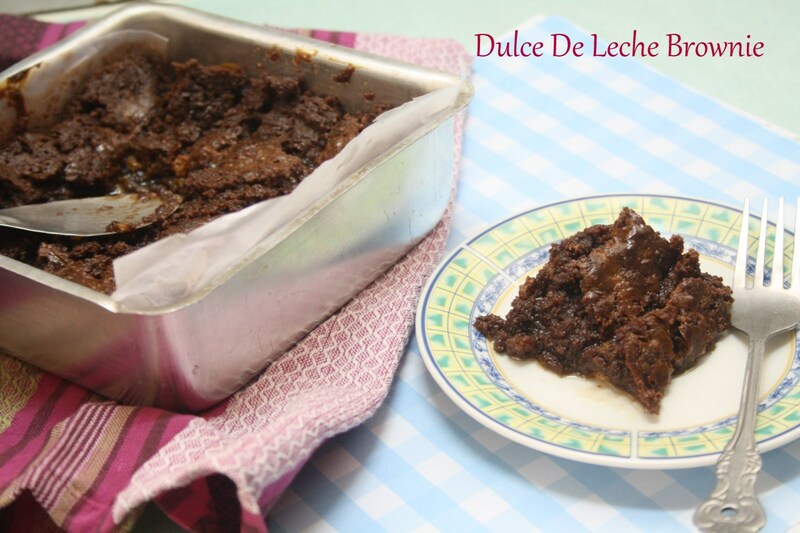 Dulce de leche looks delicious, on my to do list now. 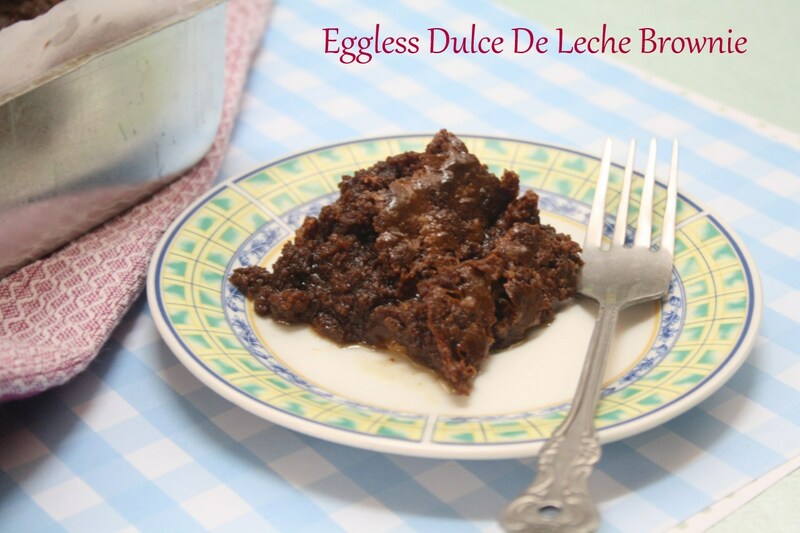 Wow, adding dulche de leche to brownies sounds so rich and decadent. Good one Valli. Love these super tasty brownies. They look decadent! 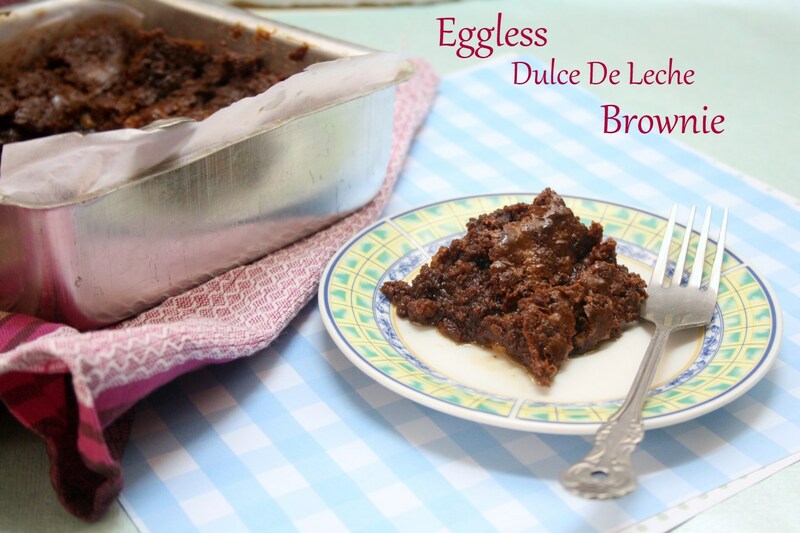 Adding dulce de leche sounds interesting, must be a rich and delicious brownie. With chocolate sauce n ice cream, aahhhh that is definitely sinful!! 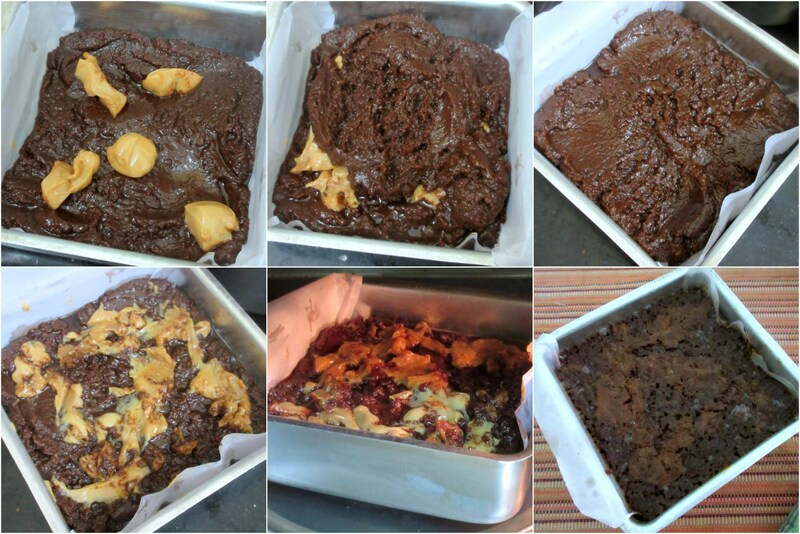 Brownies look sinfully delicious. I was salivating just reading the title of the post.